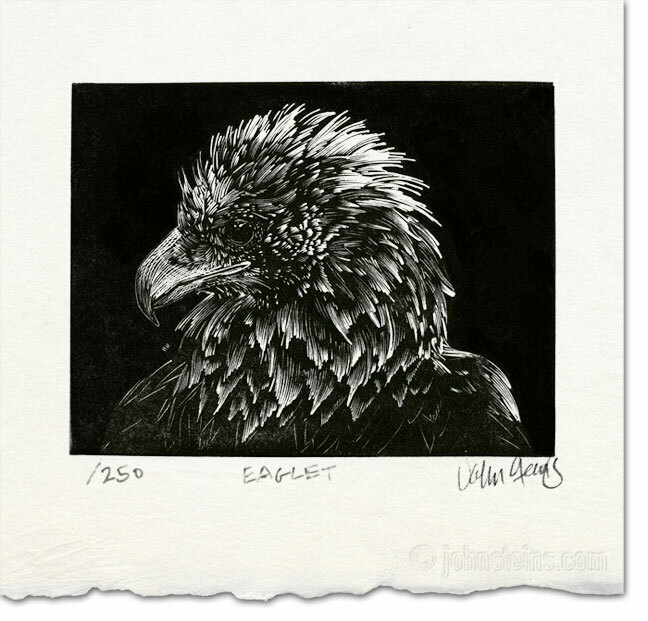 I made this engraving after visiting an injured young eagle while in the care of our local vet. He nursed it back to health and eventually was returned to the wild. Watermark and deckle paper for illustration purposes. Amazing, John. I thought it was a B & W photograph at first, couldn’t quite believe it was an engraving. Keep it up and my head will swell – bigger than it is already – ha ha. I think this engraving looks better on the screen than in real life. But I know what you mean.